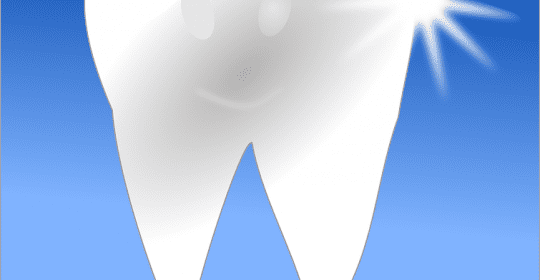 Saeid Badie, DDS Blog When Should You First Take Your Child to the Dentist? If you’re a new parent, you have lots of wonderful milestones to look forward to. First steps, first day of school, first bike ride, and first swim lesson are just a few of the many great events that you’ll get to witness. But one “first” for children is something that many parents tend to delay: First dental visit. One 2009 survey by Morpace found that the average age of first dental visit among American children is just over 2 and a half years. Most Arizona dentists recommend taking your child to the dentist much sooner. How soon should that be? And why is it important to schedule an early dentist appointment for your child? Here’s what you need to know. If you take your child for their first dental visit at the age of two, your toddler is already a full year overdue for a check-up. It’s possible for children as young as two years old to get cavities – but early dental appointments can prevent problems before they develop. And more importantly, an early dental visit gets your child accustomed to the dentist’s office. That’s why you’ll want to schedule your child’s first dental appointment very early on in their life. Most dental professionals recommend that your child see a dentist within 6 months of their first tooth coming in or by their first birthday, whichever happens first. A child’s first dental visit has several components that are designed to get your child started on the path to great oral health. During this visit, your dentist will review your child’s medical history and give you an opportunity to raise concerns and ask questions. There will also be an educational component, where you’ll learn about proper tooth development, teething, how your child’s teeth will come together to form a bite, and gum and cheek health. Your dentist will also explain the dangers of habits like sucking on a pacifier or feeding your child a high-sugar diet, and discuss how fluoride works. Finally, your dentist will have you lay your child on your lap and show you how to clean your child’s teeth. Your child may need to undergo a cleaning, and if there’s a risk that your child will develop cavities, your dentist will give your child a fluoride treatment. During your child’s first dental appointment, you’ll want to ask several key questions in order to ensure you understand your child’s oral healthcare needs. You’ll want to ask your dentist about your child’s jaw development, especially if your child’s jaw seems swollen. You’ll also want to ask about your dental office’s emergency treatment policy. Some dentists will do emergency work any time of day or night – even on the weekend – while others will refer you to other professionals for emergencies. Finally, you should ask your dentist about pacifiers. Although pacifier use won’t cause problems until age 3, it’s much easier to wean your child off a pacifier before their second birthday. Your dentist can give you some creative strategies to help your child make the transition away from pacifiers. Your child’s first dentist visit is the first step in a lifelong process. You can give your child a great head start on positive oral health habits by ensuring their first dental visit is as comfortable for them – and as informative for you – as possible. At Badie Dental, our experienced team understands the unique needs of children and has worked hard to create an inviting environment that kids love. To learn more about pediatric dental care, or to schedule an appointment with a child-friendly dentist, call Badie Dental today at (520) 433-9800.